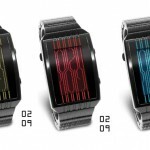 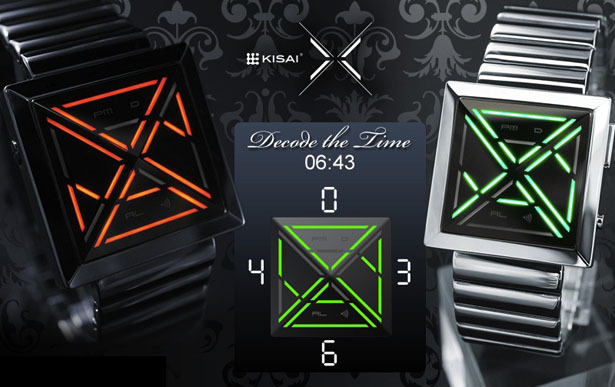 Similar to Kisai space digit, Tokyoflash Kisai X LED Watch features sharp LED light lines to display the time. 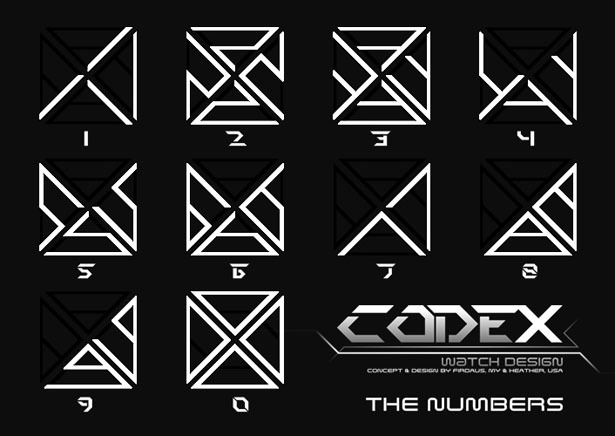 Inspired by cryptography, it looks like secret codes when in fact, they display regular numbers which are easy to read. 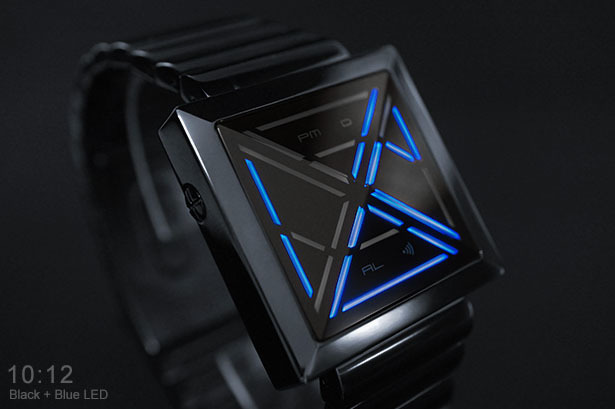 As usual, this watch can display time, date, alarm, and of course cool animation mode. 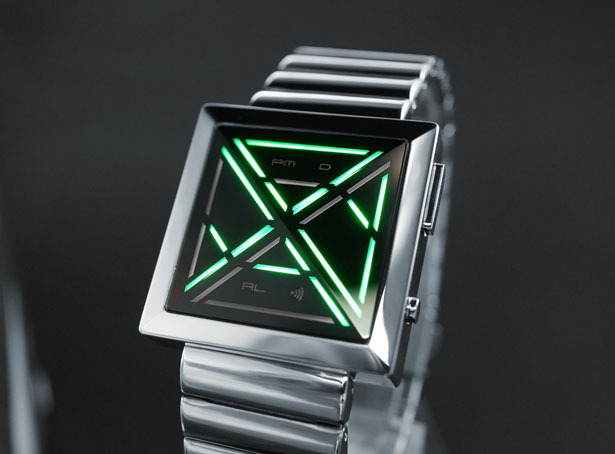 You can read the time top and bottom for the hours while left and right for the minutes. 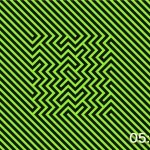 We really love that these 4 digits are stylized in visually dramatic way, try to decode the time, we’re pretty sure you’ll nail it. 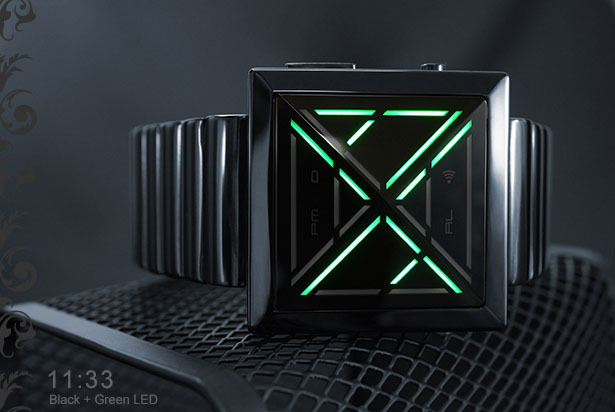 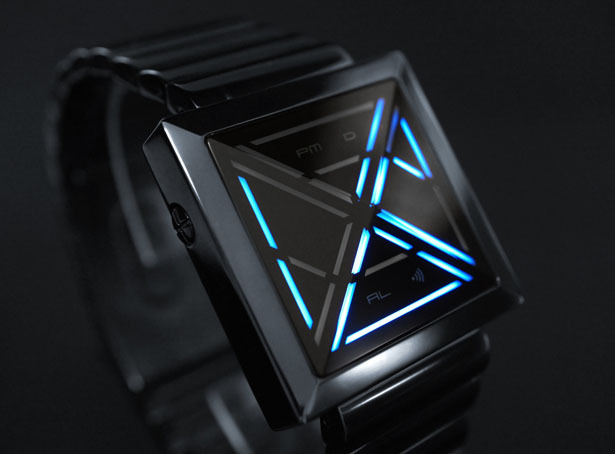 This futuristic watch boasts subtle pyramid lens, it was cut from mineral crystal to form four facets where each of which presents a digit of time through colored digital tube LEDs. 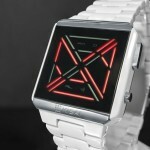 Available in silver and black with blue, green, or red display, this watch features modern and stylish look for youngsters. 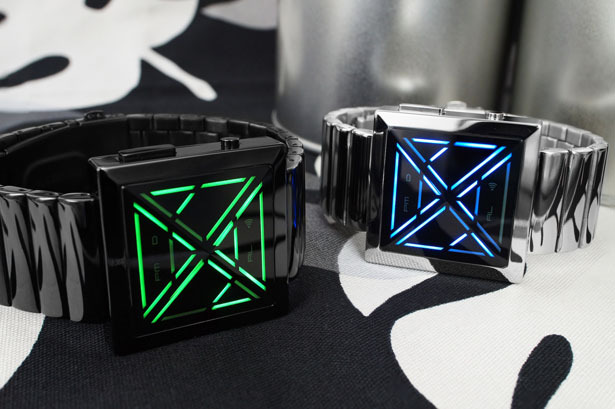 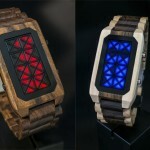 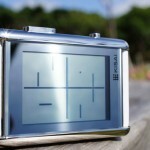 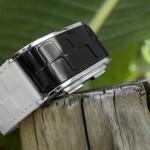 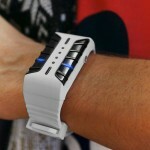 Tokyoflash Kisai X LED Watch uses rechargeable battery where one time charge lasts for about a month. 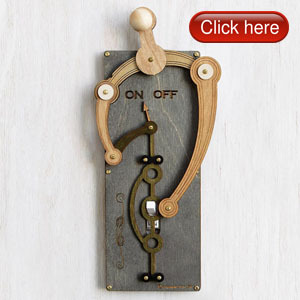 You can read the date or access alarm modes by pressing the lower button. 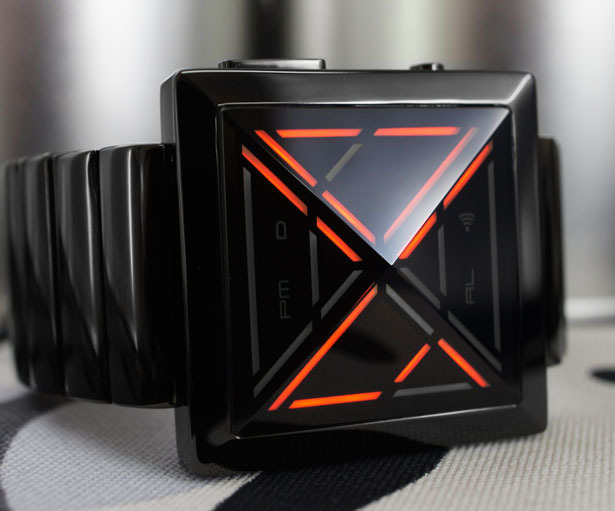 Just like the time, date mode can be read the same way where top and bottom represent the month while left and right represent the date. 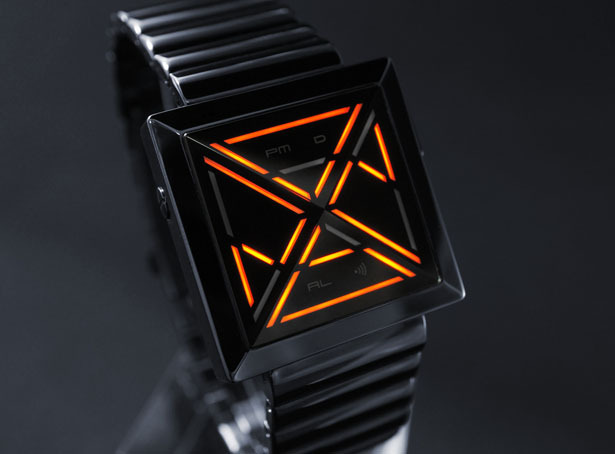 Tuvie has received “Tokyoflash Kisai X LED Watch” from our ‘Submit A Design‘ feature, where we welcome our readers to submit their design/concept for publication. 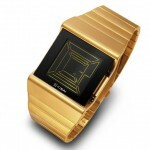 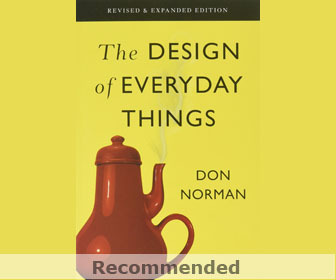 Tagged as cryptography, facets, firdaus, mineral crystal, rohman, time charge, youngsters.